To ensure the freshest possible bean and therefore the highest possible quality, your coffee is roasted after your ordered has been placed. Stale coffee can become a thing of the past! Gevalia uses the finest Arabica beans, which are superior to Robusta beans. The latter are considered inferior since they are more bitter, whereas Arabica beans have a wonderful rich and aromatic taste. Your gourmet coffee is sent in a vacuum-sealed package for freshness, straight to your door. You can't get more convenient than that. 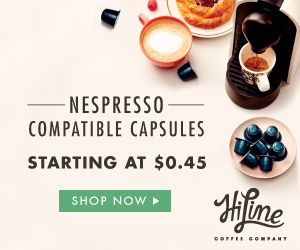 You have a choice of over 40 exceptional coffee blends to suit all tastes. Select either whole bean, ground, caffeinated or decaffeinated. Customize your order so it's exactly what you want. Once you have tasted Gevalia coffee, you will realize that not all coffee is created equal. This gourmet experience offers discerning coffee lovers the ultimate in taste. Not only that, to encourage you into tasting some of the finest coffee beans available, Gevalia are - for a limited period - offering an incentive when you choose two boxes of their premium coffee.